Ice machines are central to most of our lives, both at home and wherever we go for a drink, we will be enjoying ice in our beverages. Health departments in most cities visit every restaurant on a schedule, and the ice machine is usually the first place they look in a restaurant kitchen.Ice machines operate continuously to manufacture large quantities of ice, and while the low temperatures will slow the development of bacteria and algae, it actually provides an ideal environment for many strains of bacteria, which must be controlled continuously to prevent contamination. Ice makers require scheduled disinfection and wiping down to ensure that bacteria and mold are not allowed to grow in the ice production areas or the storage bins. There is a range of bacteria that survive in the cold environment, including Listeria, Salmonella, E. coli, Shigella, and even legionella outbreaks can occur in hospital ice machines. 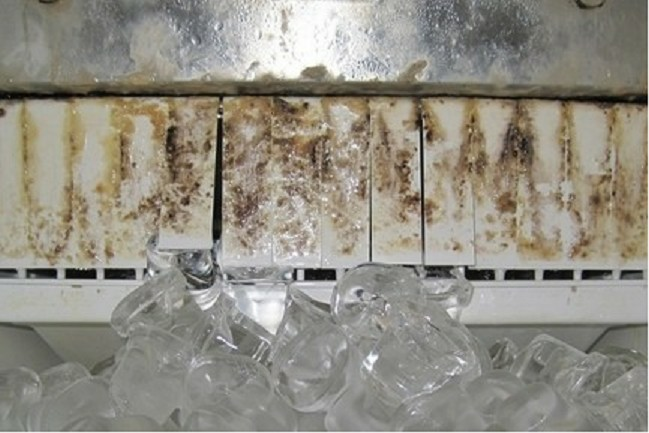 Biofilm usually forms in the ice trays, and is difficult to control. Biofilm encapsulates a number of bacteria species, and serves to protect bacteria very effectively, even from chemicals. Biofilm is often called bio-slime, which regrows rapidly in moist environments. 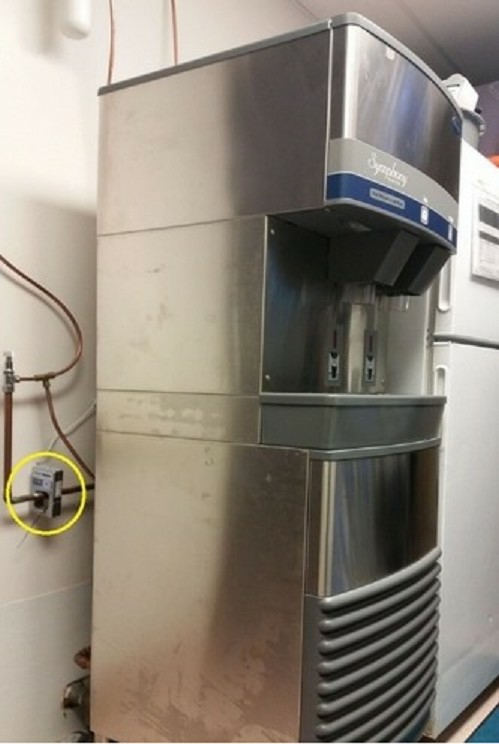 Ice machines with a “cleaning cycle” often do not disinfect the equipment, and will not eliminate biofilm and associated bacteria. Stopping ice production to thoroughly clean a machine requires careful scheduling to ensure that ice will be available for the next shift. Due to the expectation of clean tasting water that does not have chemical taste, the cleaning and maintenance process is a difficult and time consuming process that requires a schedule; using safe chemicals and tools that do not leave residue. As an alternative to this process, a HydroFLOW unit can be installed. HydroFLOW water conditioners are environmentally friendly devices that have been distributed throughout the world for many years, but only recently entered the U.S. market. Over twenty years ago, Hydropath Holdings, located in the U.K., invented a process that treats fluids by inducing a robust yet harmless signal of 150kHz throughout plumbing systems made of any material. The pipe, and/or the fluid inside of it, acts as a conduit which allows the signal to propagate. The induction of the signal prevents scale and biofilm from accumulating inside plumbing systems and gradually removes existing deposits. This preventative action significantly reduces energy, chemical, water and maintenance costs which extends the service life of equipment and pipes. Biofilm often attaches to scale in water systems, which is difficult to remove, so the HydroFLOW saves time, expense and labor while maintaining bacteria and scale control. 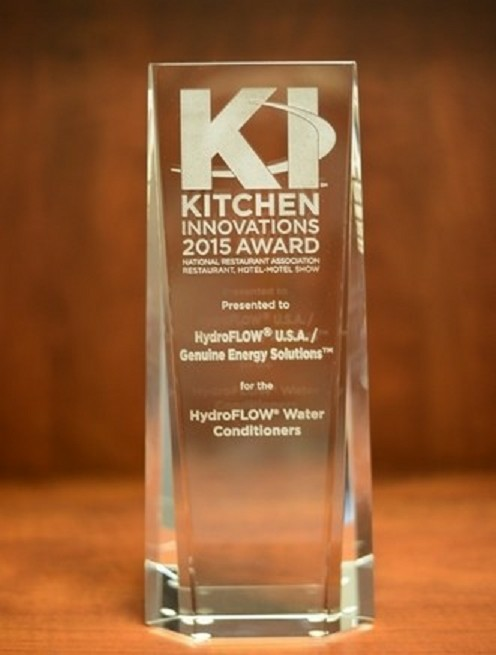 Kitchens and homes that use water softeners no longer need them after installing a HydroFLOW. Scale does not form, and existing scale is removed over time. A popular restaurant chain in the Dallas/Fort Worth area installed a HydroFlow unit on an ice machine that exhibited pink and black slime despite frequent cleaning. The machine was cleaned and a HydroFLOW S38 model was installed. After 30 days, the ice machine was inspected and no algae or discoloration from bacteria was present in the machine. The HydroFLOW prevented new contamination while removing existing bacteria. The restaurant installed HydroFLOW units in all of their restaurants with no biofouling after 6 months of use. When labor and maintenance costs were calculated for manually cleaning an ice machine monthly, the cost of a HydroFLOW was recovered within 4 months. 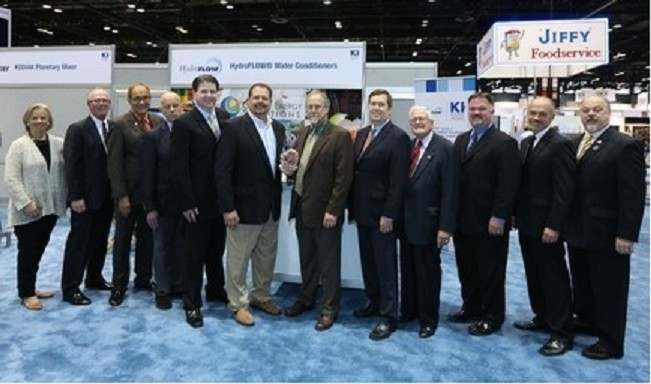 HydroFLOW received the 2015 Innovator of the Year award by the National Restaurant Association for applications in ice machines, steam tables, dishwashers and steamers. With a HydroFLOW the expense and labor associated with having a water softener is eliminated. HydroFLOW water conditioners are powered by the patented Hydropath technology, are effective and operate on less than $10 of electricity per year. They have no moving parts and operate 24/7 to control bacteria and scale. HydroFLOW units are easy to install in minutes, and require no cutting of pipes or interruption of production. HydroFLOW reduces water use, chemicals and energy. To learn more about HydroFLOW, contact us today.